Published: April 6th, 2019 by Simon. Filed in Kitchen and tagged kitchen splashback, kitchen Tiles, mosaic tiles. Kitchen renovations are fairly common in Australian homes. In fact, the Houzz & Home International Comparison Report for Home Renovation Activity in 2017 found 26% of all home renovations in Australia were kitchen renovations. This isn’t surprising because year after year, the kitchen continues to be the most renovated room of a home. When renovating a kitchen, one of the most important design decisions you’ll have to make is in regards to your kitchen splashback. It can define your style, whether you’re aiming for a minimalistic, colourful, contemporary, country design or anywhere in between. 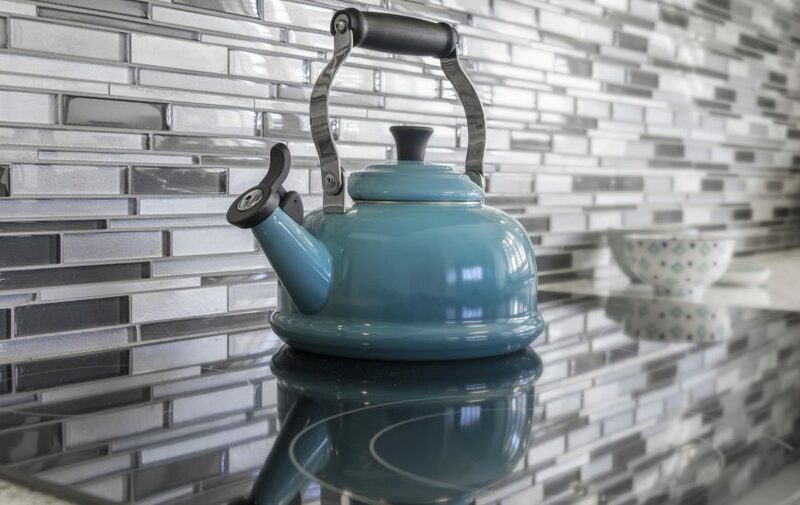 And while you have various materials that can be used for a kitchen splashback, mosaic tiles continue to be one of the most popular choices of all. 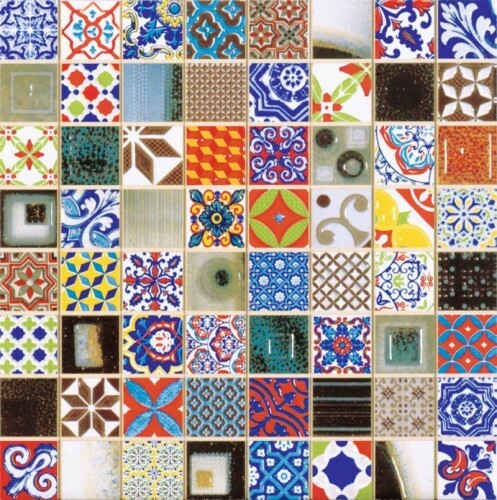 Today, I’ll take this opportunity to showcase 6 mosaic tiles that are ideal for kitchen splashbacks. Whether you’re looking for some design inspiration, or you’re searching for the perfect splashback, you’ll find something useful in today’s post. Stay on trend and design a dark kitchen by choosing the Oenomaus mosaic tile for your kitchen splashback. It features a gorgeous design that comprises trapezoidal and rectangular shapes in vertical rows and a high-gloss finish. 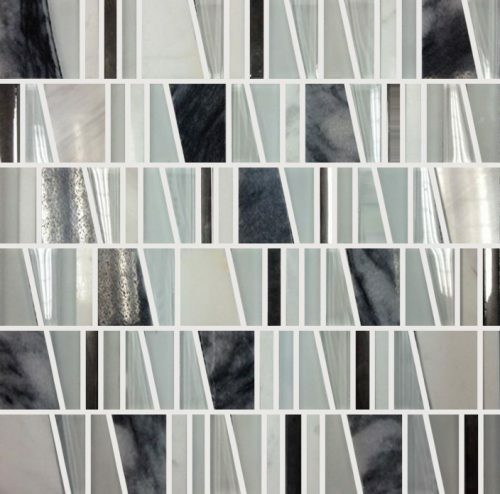 Use this tile as your splashback tile to create a sleek, sophisticated and ultra-modern kitchen. If you’re designing a kitchen with a light colour scheme, our Gannicus mosaic is an excellent tile choice for your splashback. Featuring rectangular and trapezoidal patterns in various shades of grey, Gannicus best complements pale blue, grey or white kitchens designs. It is the perfect tile for creating a little contrast in your kitchen without being too overbearing. For a kitchen splashback that adds a luxurious touch to your kitchen design, consider the Bedarra mosaic tile. 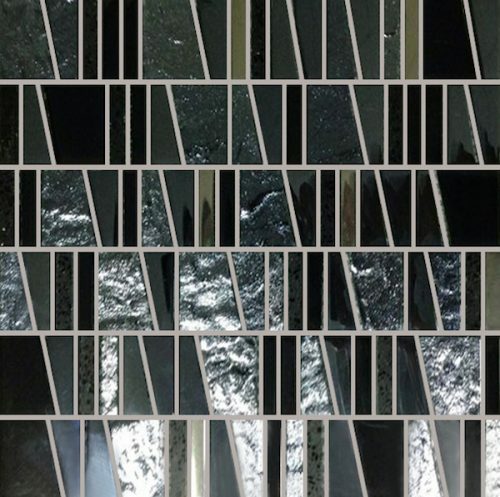 It features a unique design that comprises random glass and lavish stainless steel blocks of various sizes and various shades of grey. 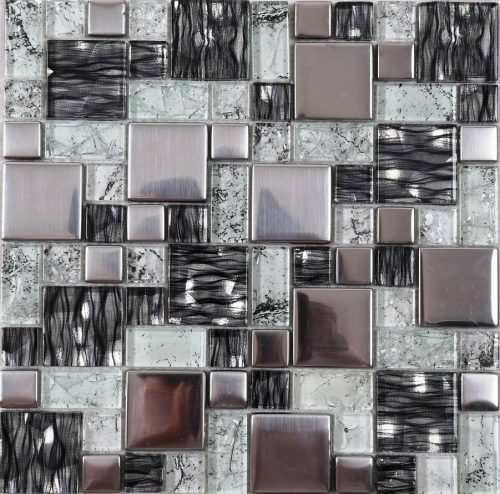 A kitchen splashback that uses this mosaic will complement modern kitchen appliances, fittings and accessories, especially stainless-steel and chrome finishes. To introduce natural materials into your kitchen design, choose the Capadocia mosaic for your kitchen splashback. Featuring a mix of natural mosaic stones, this tile looks incredibly attractive and will add a natural tone to your overall kitchen design. It complements a variety of design and colour schemes and goes especially well with white kitchen cabinets, such as these. To create a timeless look in your kitchen, choose our Aspen mosaic tile. It features a modern spin on the standard subway tile and is incredibly elegant and classy. It complements every design scheme ranging from classic to contemporary and minimalist to the country and will not age with time. You simply cannot go wrong in choosing this subway tile – or any subway tile for that matter – for your kitchen splashback. 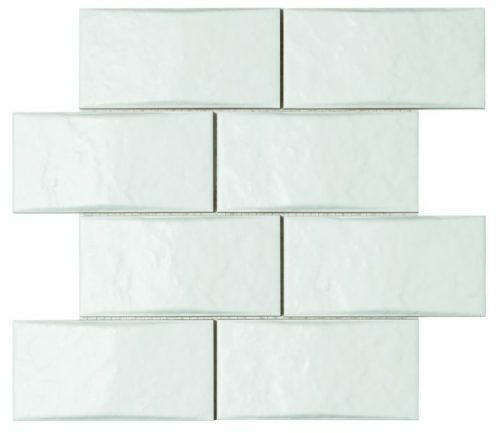 Be sure to also view our large range of subway tiles in our wall tile range. To create a kitchen splashback that pops with colour, you’ll find no better tile choice than the Artisian mosaic. Featuring a cheerful and bright design, this mosaic comprises various designs that are inspired by ceramics from Japan, Valencia and Portugal. It features a textured finish which adds extra character to your kitchen. This mosaic is the ideal choice for any contemporary kitchen design with a pop of colour. When it comes to kitchen renovations, the kitchen splashback is one of the most important design considerations. It defines the style of space and can make or break a kitchen’s design. Mosaic tiles are an excellent choice for kitchen splashbacks as they are available in an array of designs, colours and finish options. 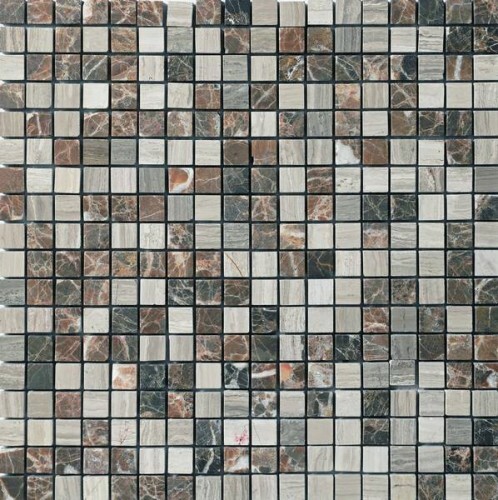 Here, at Ross’s Discount Home Centre, we stock a massive selection of mosaic tiles in Perth. Six mosaics that are specifically designed for kitchen splashbacks include our Oenomaus mosaic tile, Gannicus mosaic tile, Bedarra mosaic tile, Capadocia mosaic tile, Aspen mosaic tile and Artisian mosaic tile. Choose any of these attractive tiles for your kitchen splashback depending on the overall design and colour scheme of your kitchen. To buy our mosaic tiles in Perth, shop from our online store and take advantage of our free delivery across Perth Metro. And, if you want to see our range of splashback tiles in person, pay us a visit to Guildford.